Sunny weekend forecast: Hang out in the backyard. Go to the park. Ride bikes around the neighborhood. Maybe be adventurous and go to a new park. Play it all by ear. 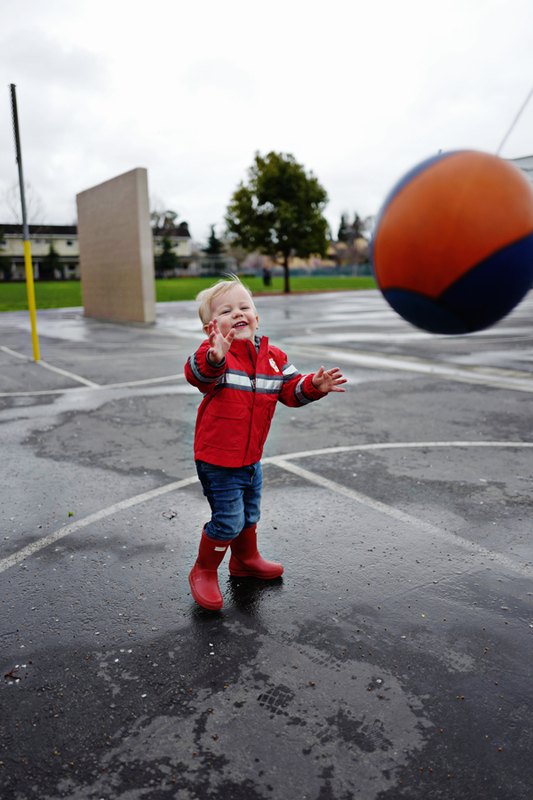 Rainy weekend forecast: Mid-week, Google popular indoor activities for toddlers. 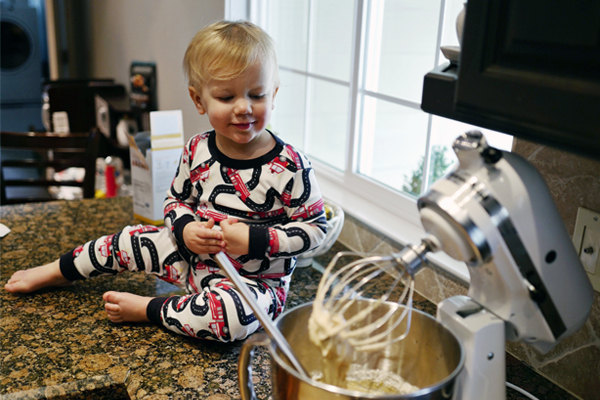 Make shopping list with ingredients for multiple baking projects that toddler (and pregnant mom) will enjoy. What about art and crafts? Do we even have crayons? Add crayons to list. Get warning from mom friends to avoid children's museums, aquariums and indoor play spaces unless we can get there early. We don't want to get anywhere early. 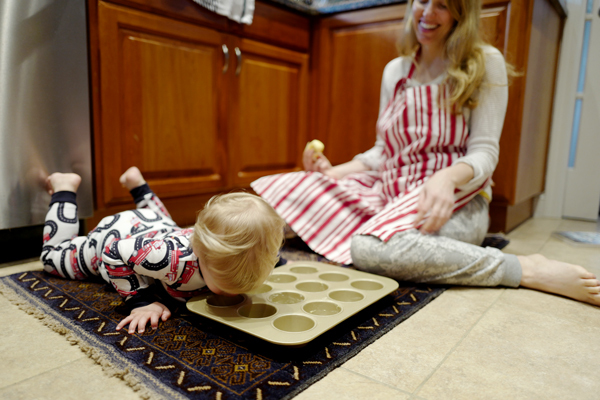 Google unpopular indoor activities for toddlers. 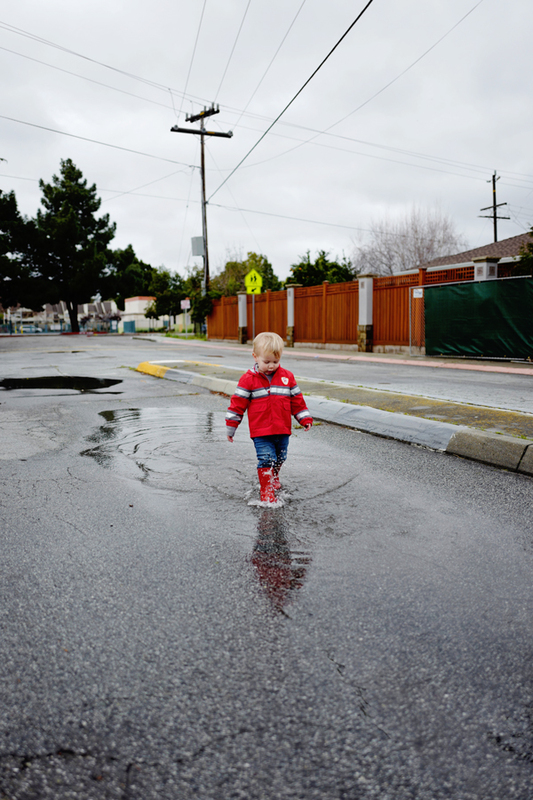 In other words, we've found that a rainy weekend requires a game plan and some creativity—and not just for the sake of our toddler. 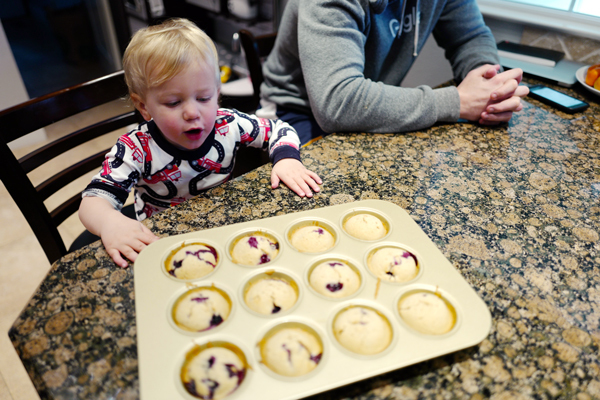 Will is often happy to play around the house, but sometimes it's us—the parents—who need a change of scenery or a new toy (or in my case, a new muffin recipe). 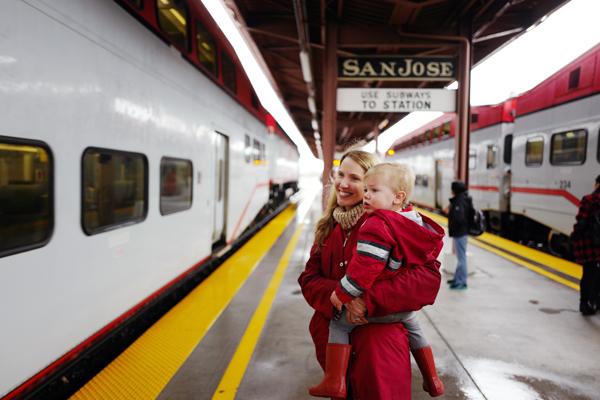 Considering the record rainfall we're currently having in California, we've had to come up with some rainy day adventures—fast. These have been our three favorites so far. 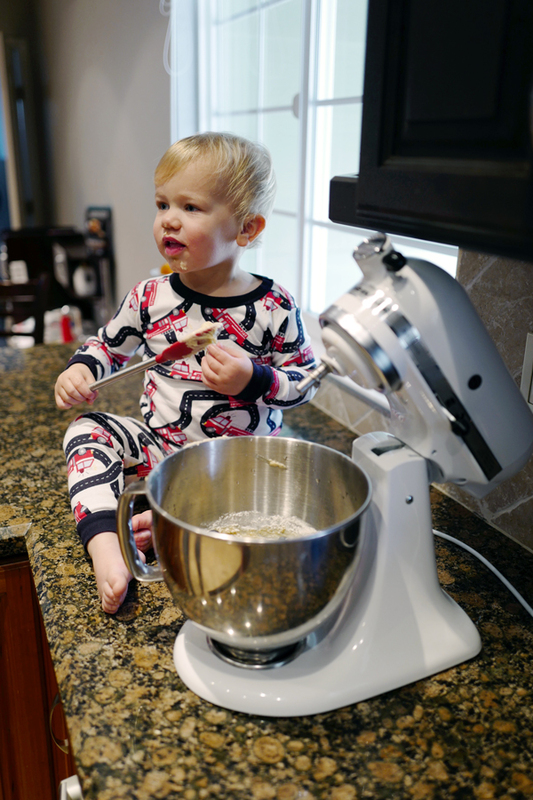 Will loves all kitchen appliances—the louder, the better. 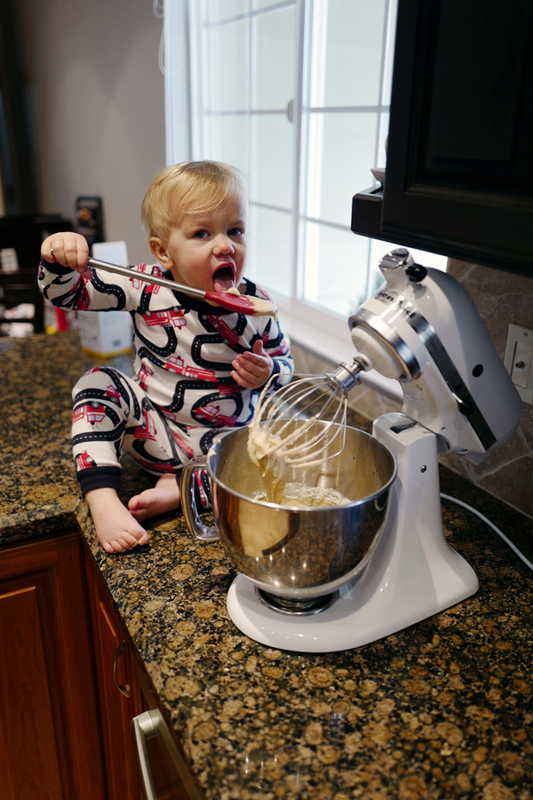 Any recipe that involves an electric mixer, food processor or blender is an automatic hit. During one particularly rainy weekend, we stayed in our pajamas all day and made pancakes, muffins, banana bread and cookies (I mentioned I’m pregnant, right?). 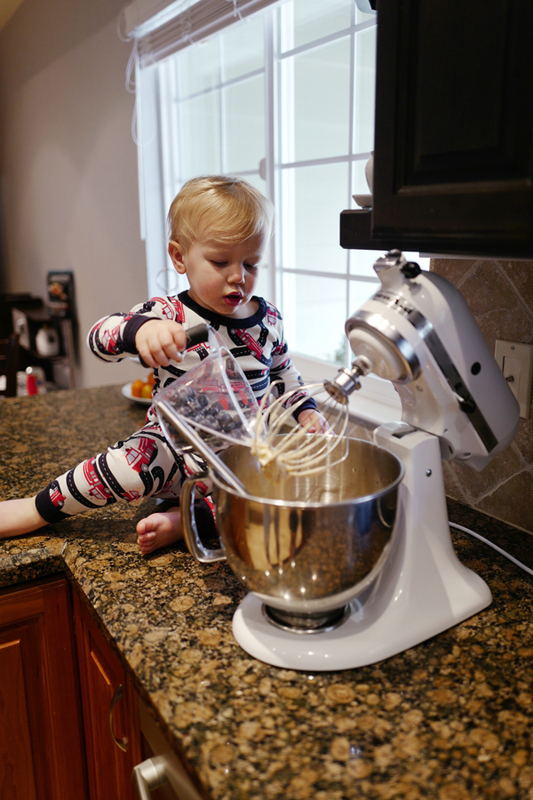 Will is eager to be involved and insists on fetching, measuring and pouring the ingredients (“Will do it!”). Unfortunately, this meant our batch of chocolate chip cookies ended up with very few chocolate chips (“Will eat poplit pips!”). Still, a day where we can all be entertained and well-fed without leaving the house or changing our clothes is a win in my book. 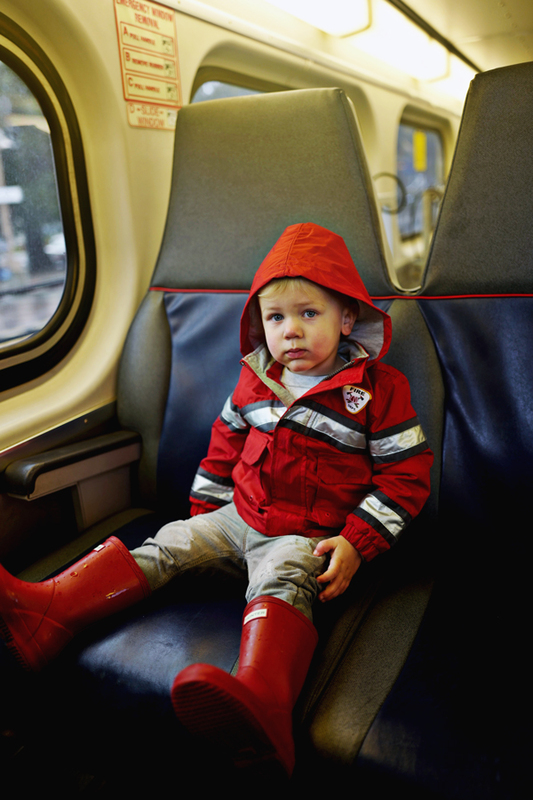 Will is going through a major train phase, so one rainy Sunday, we decided to take a ride on Cal-Train, the Bay Area's commuter rail line. Where to? No particular destination. 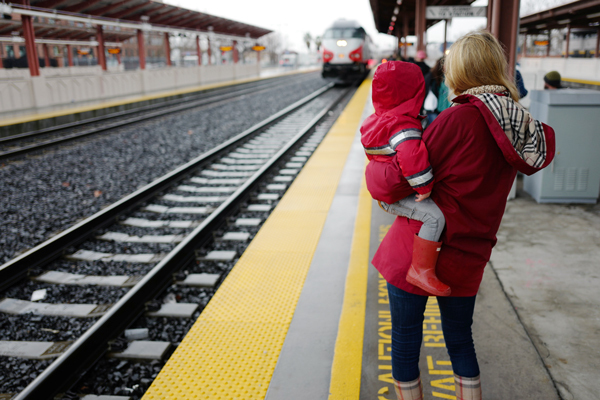 We rode the mostly empty train up a few stops, got off at a familiar spot with just enough time to grab coffee, and then rode the train back home. Will couldn't have been happier. 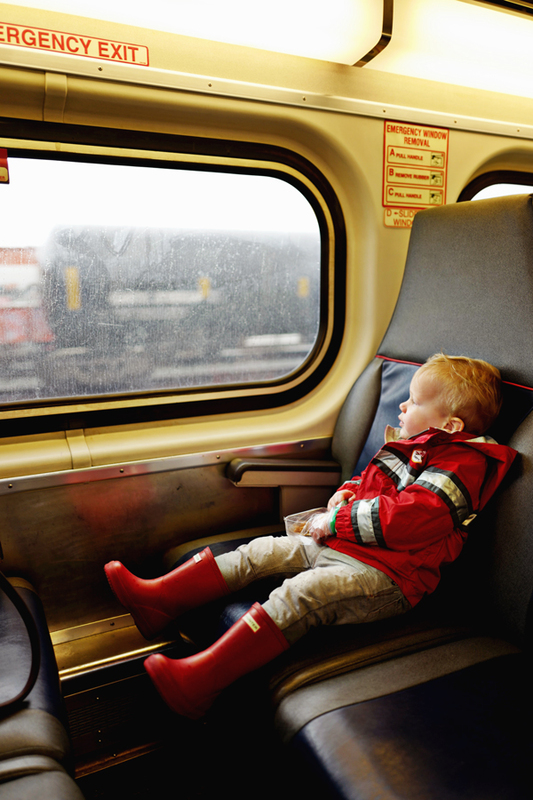 He stared out the window, ate some snacks, and talked about how he was on a “big choo choo!” Meanwhile, Nick and I got to sit back, relax and enjoy our coffee—a luxury these days. This might be our best parenting discovery so far. 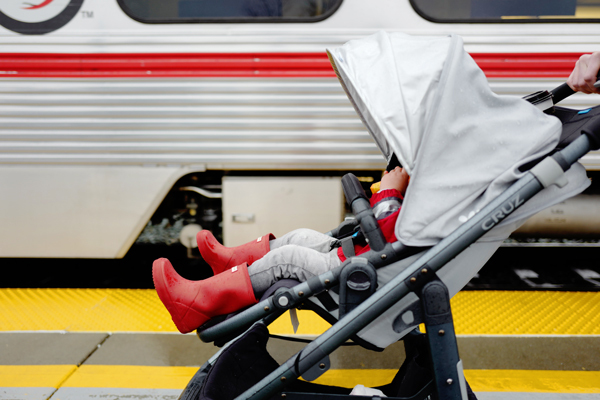 Getting outside might sound like a no-brainer, but capitalizing on breaks in the rain is a challenge (ready, set, go: stop everything, locate rain gear, put rain gear on, repeat previous step after the inevitable diaper change that's required right when you're finally ready to head out the door). Still, it's worth it. 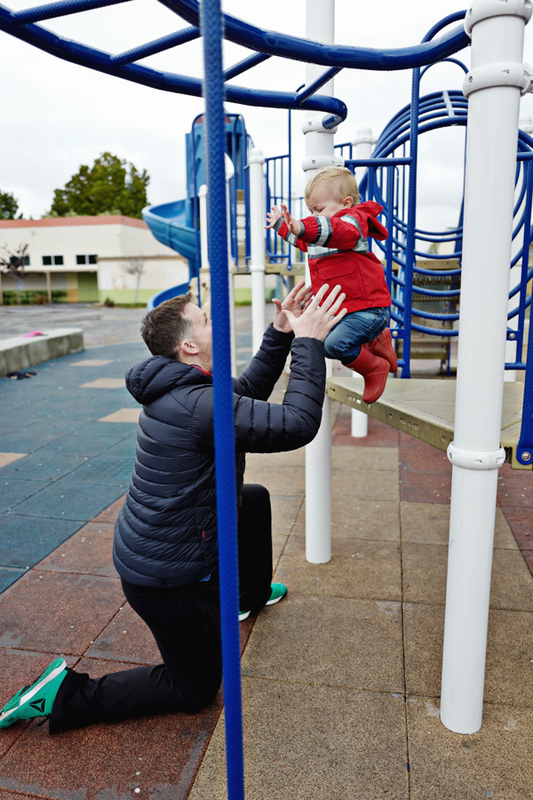 During a recent dry moment on a drizzly day, we had our neighborhood park all to ourselves. 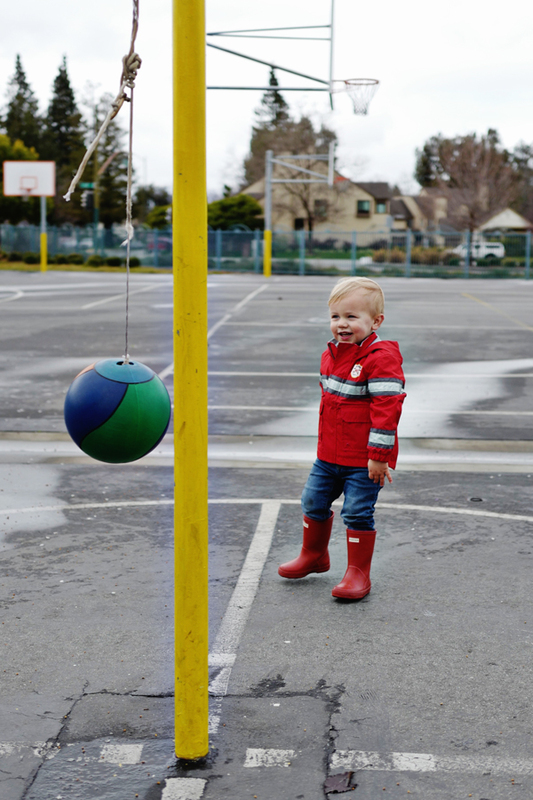 We quickly learned that it's a good idea to pack a towel to wipe down the playground equipment. 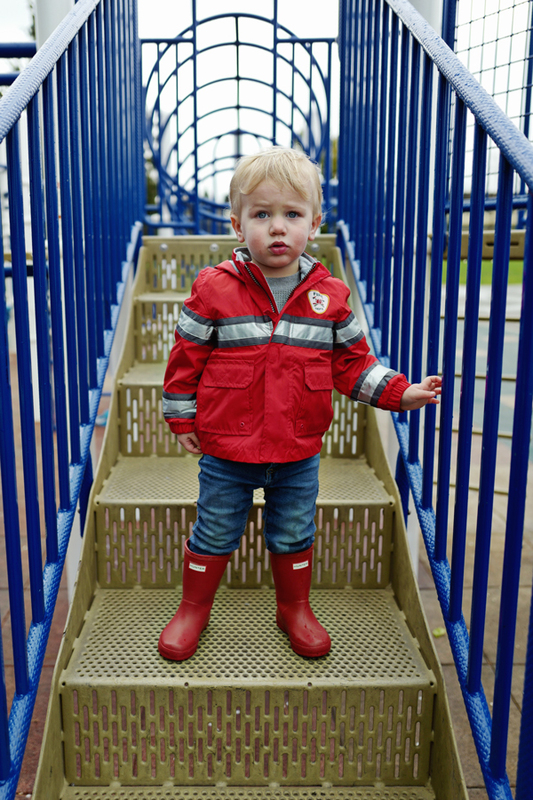 After Will took a wet ride down the slide, he requested that we change his pants (we also did not pack spare pants). Thankfully, he quickly recovered and moved on to exploring new parts of the park, which was fun to witness.